You are here: Home / Ethnic Groups / The People of Sulawesi / Who are the Bentong? The Bentong people are known as “To Bentong.” They are located inland about 2 hours from Makassar, the capital of South Sulawesi Province. According to the Bentong, they are the descendents of a marriage between the prince of Bone and the princess of Ternate. Other sources state that the Bentong are the descendents of Bugis and Makassar peoples. The latter is more likely since Bentong culture is influenced by elements of both the Bugis and Makassar cultures. Bentong are nomads and are considered an “isolated” society by the government. The Bentong language is part of a larger language group called the Makassar which also includes Konjo Pesisir, Konjo Pegunungan, and Makassar. The Bentong live in a hilly area. This area is marked by dense forest underbrush, with limited land available for rice fields. There are no major roads in this area. Narrow footpaths connect them to the outside world. Most Bentong live as farmers and fishermen. Their primary crops include dried coconut (kopra), rice, and various forest products. The Bentong marriage system calls for marriages among people of the same group. A young man who wants to marry a woman outside of his own group must remember that his duty is to give preference to a woman within his group. In their tradition, the groom gives a dowry. In the past, it was usually land or cloth. Newlyweds may live near either the groom’s or the bride’s family. Islamic law. Nevertheless, elements of traditional beliefs are still maintained; namely belief in ancestral spirits, sacred objects and sacred locations. This system of worship is referred to as arajang. They believe this system will bring safety and must be done to avoid being cursed. Arajang objects such as a keris (ceremonial knife), spear, shield, and the like are only used at certain times, specifically at the king’s inauguration, marriage ceremonies and natural disasters. Other forms of worship involve showing respect to the pantansa (a small yellow house that symbolizes the gods). This ceremony is conducted in the rice fields during the planting season and is led by the pinati (a shaman who acts as a mediator between humans and the ancestral spirits). The Bentong need help in management of commercial farming so they can achieve more significant yields. They also need better education, since neither Bentong adults nor children have had many educational opportunities. The Bentong need adequate healthcare as well as healthcare education. They regard cleanliness as a hindrance to their daily activities. 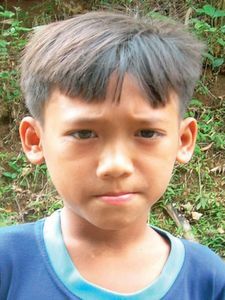 As a result, many Bentong are sick with malaria, dysentery, skin and eye diseases, and other illnesses.